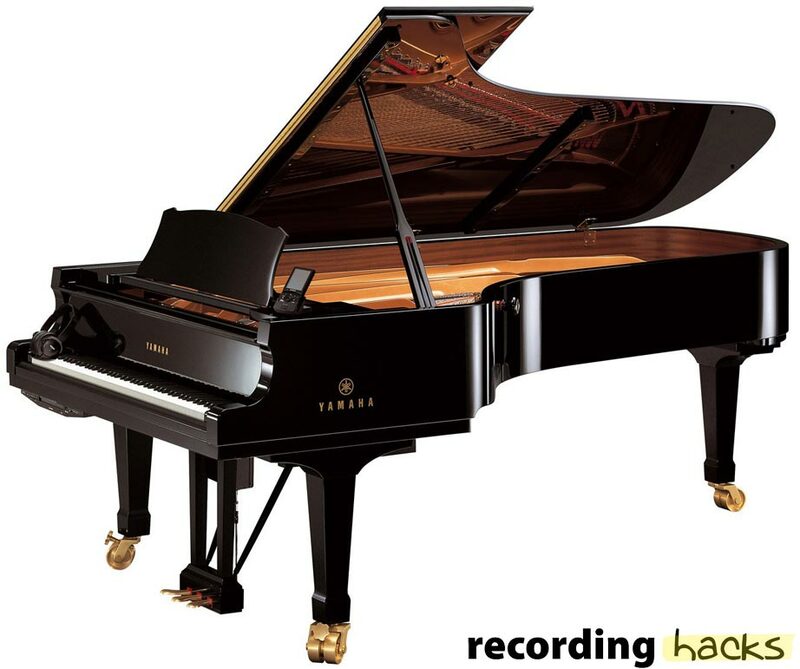 At NightBird Recording Studios in Los Angeles, we had a 9-foot Yamaha Disklavier concert grand piano in the live room, and nice group of mic preamps available in the control room, which provided a great opportunity to audition all the mic pres. The beauty of using the Yamaha Disklavier as our instrument is that this acoustic piano can play back MIDI files. This might be the only way to actually record a nearly-identical acoustic performance using the same mics through different preamps. The piano was miked at full-stick with a pair of DPA 4052s, the miniature descendent of the DPA (B&K) 4006 — a long-time standard for classical recording. The 4052 is an omnidirectional microphone with a set of changeable acoustic filter grids that fit over the capsule to provide different on-axis frequency response curves. The near-field grid I used provides a linear on-axis high frequency response in the near field, which allows a stereo pair of 4052s to be used inside the piano with very nice stereo imaging. Now for the preamps. We had just received a pair of Neve 1073LBs, which I was anxious to hear against the studio’s vintage Neve 1081s. Also on hand were API 512c, Avalon M4, Great River MP-500NV pairs, as well as a Manley Slam. 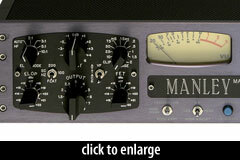 All the mic pres are discrete, solid-state, except for the Manley, which boasts Class A tube pres. As a bonus, the Great Rivers were used in both their “loaded” and “un-loaded” settings. 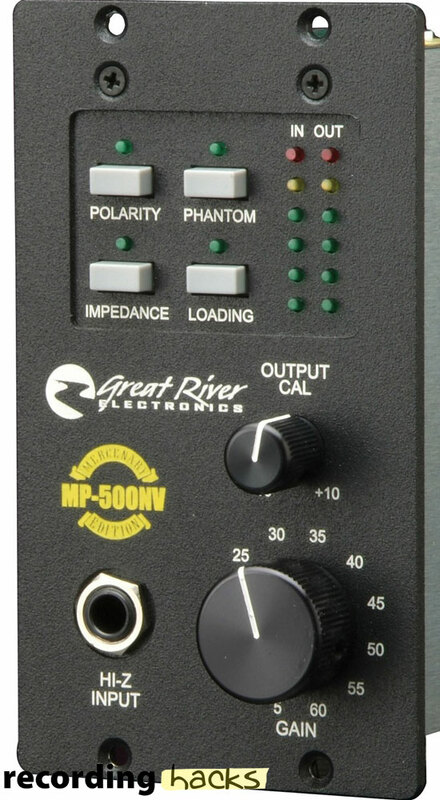 The loading button on the Great River changes the way the output transformer is loaded, with the “loaded” mode generally giving a flatter response while the “un-loaded” mode is a little thicker in the midrange and maybe a touch more open on top. The different loading modes are definitely worth auditioning for every recording. Each mic preamp pair was patched into the same two inputs on an Apogee AD-16x converter and recorded into Pro Tools 9 at 24bit, 44.1khz. No additional processing was applied to these tracks. The performance was a pop/rock piano part from an actual song, and I chose to create excerpts from two sections. One section is a more delicate two-hand chordal part with sustained chords and arpeggios while the other section is a more heavy-handed chordal section with heavy left hand parts. Both sections loop well, so you can line up all the different preamps on different stereo tracks in your DAW and let it loop while you solo each track. Matching the volumes is somewhat difficult, since the frequency and dynamic response is so varied from preamp to preamp, but overall the levels are fairly close. I find that preamp auditions using stereo sources are much more revealing than mono sources, so the piano test provides a good chance to compare overall tonality, imaging, dynamics, space and size characteristics, as well as harmonic distortion, which always seems to rear its head for piano recordings. Going through the listening process of each preamp more than once and at different times will give you the best perspective on how each preamp performs. Keep in mind that there is no single best preamp, and any of these might be a good starting point for a given piano and a given production. Remember, this piano was a very large piano, close-miked and played very strongly. For this actual record (which was a four piece acoustic band), we wound up using the Great River unloaded and added a third microphone (a large diaphragm condenser) over the bass end of the piano to fill in the bottom and center the piano a bit more. 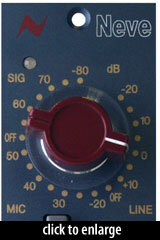 Neve 1073 LB – Very clean and well balanced. Nice stereo spread. Articulate but not sterile. Natural presence. Good for punchy, clean piano in a pop or rock song. May be too articulate for jazz or smooth-jazz. 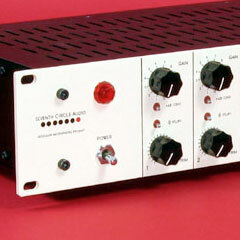 Neve 1081 – Natural and wide. Not as articulate as 1073LB, but in some ways more pleasing. Wide stereo image, with a slight phasey-ness in the low mids. Harmonics stay clean even in dense passages. Overall a little laid-back sounding. Good for rock, pop and smooth jazz. 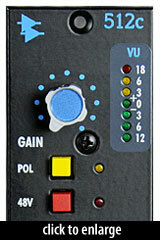 API 512c – Wide stereo with no phase issues. Well balanced across the entire frequency spectrum. Handles dense pasages very well. Even dynamics. Would be good for rock, pop, smooth jazz and acoustic jazz. 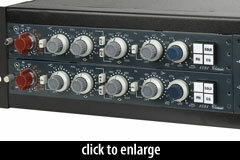 Avalon M4 – Very similar to Neve 1081, with less hi-mid bite. Kind of a mellower, cozy sound. Takes up more sonic space with less definition. Could be just the ticket for a piano that is not featured but acts more like a pad. 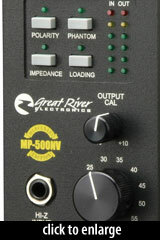 Great River MP 500NV (Loaded) – Nice harmonic balance for pop music – a bit scooped out in the mid-range, allowing the piano to fit very well in a pop or rock production. The piano feels a bit more distant than some other preamps. Maybe a little hyped for smooth jazz or jazz. 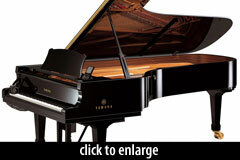 Great River MP 500NV (Unloaded) – Very good representation of the acoustic sound of this piano. Maybe the most harmonically even. Nice stereo spread. In the same family as the Neve 1081 with a little more presence. This preamp setup would probably be the most useful of the bunch, given its overall character. Would work in all types of productions. Especially clear in the harmonically rich sections. Manley SLAM! – A little mellow on the lead parts, but very nice on the dense, chordal sections. Would take EQ very well, without getting harsh. Lots of dynamics and nice stereo spread. Nice spectral balance with large, clear low-mids and open highs. Perhaps the best choice for mellower productions, or where piano is the lead instrument. Smooth jazz, jazz, sparse pop or rock. Pandora’s box opens every time I do any kind of shootout, but I hope you enjoy the recordings of each preamp and can decide if there is one that would be your go-to preamp, or if you just might need a handful around for that special case. Adam Kagan is a recording engineer, mixer and producer with numerous Grammy-nominated and -winning productions to his credit. He is also brains behind a new songwriting tool called Temptress, available soon as AU, VST, RTAS plug-in. Read more about Temptress, or visit Adam online at about.me/adamkagan. This is the way to do a shoot-out. Can’t wait until I am in a good listening environment so I can check it out. What strikes me more than anything is how subtle the differences between these pre-amps are – it’s good to have a shootout like this give us a dose of reality to remedy too much marketing. With good condensers, on a good instrument, in a great sounding room there may not be striking differences, but I bet with a dynamic mic on a harmonically rich source, like voice or acoustic guitar, you would hear more differences. The other thing is that everything is cumulative – mics, preamps, cables, converters, clocks, sample rate, processing, etc… so that even a subtle shift here an there will make a larger difference by the end of the project. I see those effects everyday in my productions. The flip side is that this also shows that great recordings can be made many different ways (which we all already know). Also, nowadays preamps like Chandlers Germ 500 and Lil Devil allow you tweak the bias on the amplifier and hear those differences, which aren’t so subtle. Some tube pres are coming out that let you adjust the tube bias, as well to get different harmonic flavors. It was a fun way to test the pres! Very soon I’m gonna be shooting out some tweaky mic cables for a new project. I’ll post those findings as soon as I have em… Expect really subtle stuff there! Midi rig was really clever. Thanks for posting this. I’m always curious to hear these high end preamps put up against the cheap ones. For those untrained professionals that might not be able to hear the subtle differences in these preamps, showing them that there is actually a difference with quality equipment might give them perspective. If they can hear the difference after that they might not want to quit their day job. Nicely done. I do wish you had done the blind listening option you used for the cheap mic pre shootout. That is a wonderful teaching tool. Yeah – If this was gonna be a proper shootout I would have done it more like a blind test. In this case, I just wanted to show the overall qualities of a variety of commonly found mic pres. My main goal was to test a demo of the Neve 1073LB when it first came out. Since I was using the Disklavier, I thought I might as well try out all the other pres in the room. At the end of the day, any one of these preamps would have done a fine job recording the piano for this production. If the song were featuring an acoustic piano performance, I may have leaned towards one preamp or another so that I could get the sound without as much processing when mixing. Pianos, unlike guitar, take eq and compression pretty well, so fitting a piano into a dense mix is usually not very difficult – just don’t worry about what the piano sounds like when you solo it from the mix! I’ll try to do some more samples like this….